(KTLA) -- One of Texas’ most wanted fugitives has been captured following a short pursuit in Woodland Hills early Tuesday. Police received a tip about 10 p.m. Monday from authorities in Dallas that Christopher Gonzalez, a fugitive on the state’s "10 Most Wanted" list, was in the Woodland Hills area, Los Angeles Police Department Officer Luis De la Luz said. Dallas police had apparently been following Gonzalez’s social media sites and reached out to the LAPD after noticing a livestream on the 18-year-old’s Instagram account, De la Luz said. Authorities say 18-year-old Christopher Gonzalez was taken into custody Tuesday morning after brandishing an arsenal of weapons in a live Instagram video. Officers located Gonzalez and another man near the intersection of Serrania Avenue and Wells Drive, but the two quickly fled the scene, De la Luz said. After a short pursuit, the wrecked vehicle Gonzalez fled in was found and a perimeter was set up from Westchester Drive to Serrania Avenue to search for the two men. A police K-9 located Gonzalez about an hour and a half later and he was taken into custody suffering from a bite wound, De la Luz said. Gonzalez was taken to a local hospital in unknown condition. The second man, who has not been identified, was taken into custody hours later and was also transported to a local hospital. A handgun was found in the area where Gonzalez and the other man fled on foot from the wrecked vehicle, De la Luz said. 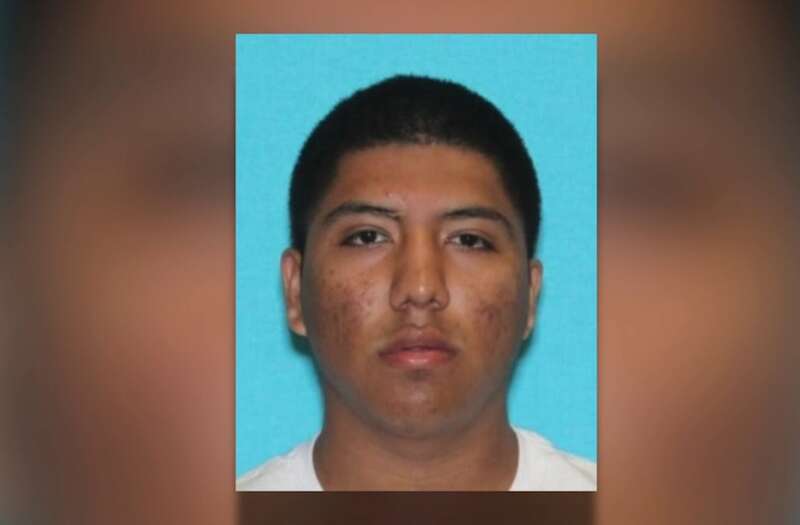 Gonzalez, also known as “Little Chris,” is affiliated with a clique of the Bloods gang and was allegedly involved in a number of aggravated robbery home invasions in the Dallas area, the Texas Department of Public Safety stated on its website. Arrest warrants were out on Gonzalez for aggravated robbery and engaging in organized crime. There was no word on why Gonzalez may have been in the Woodland Hills area or if he was involved in any crimes there. Gonzalez is expected to be extradited to Dallas after he is treated for his bite wound.